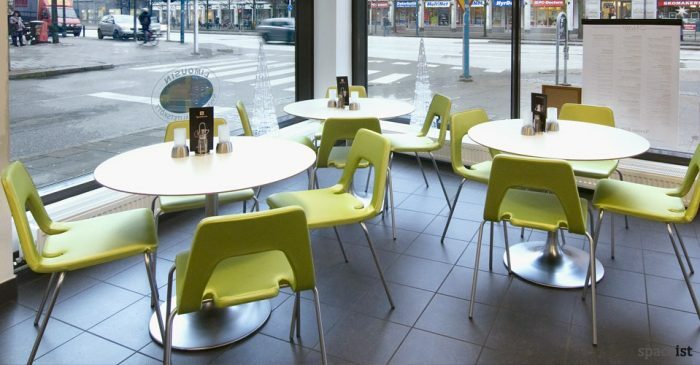 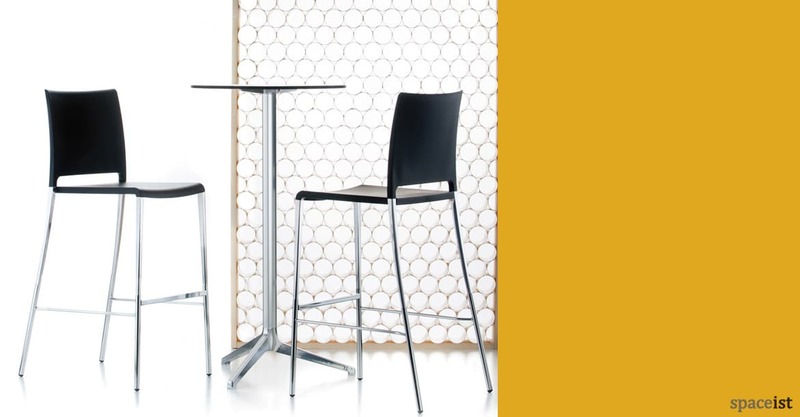 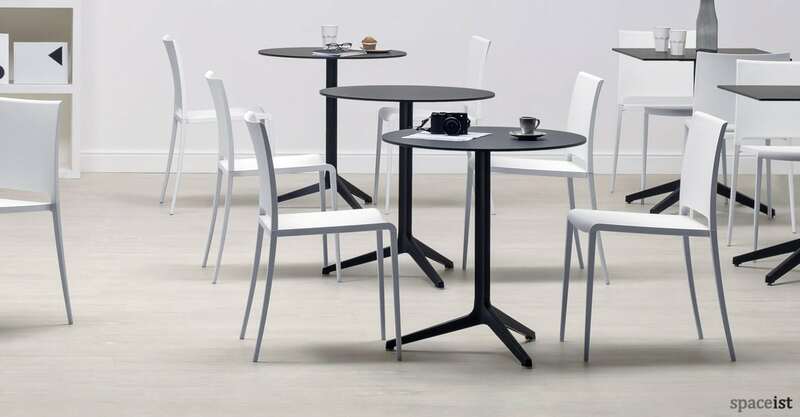 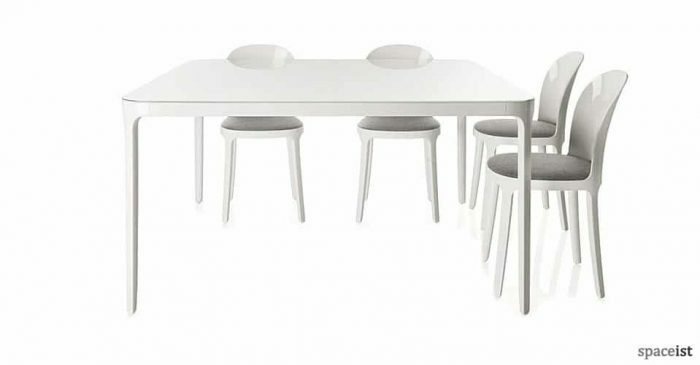 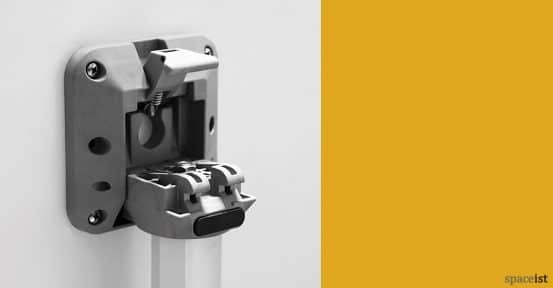 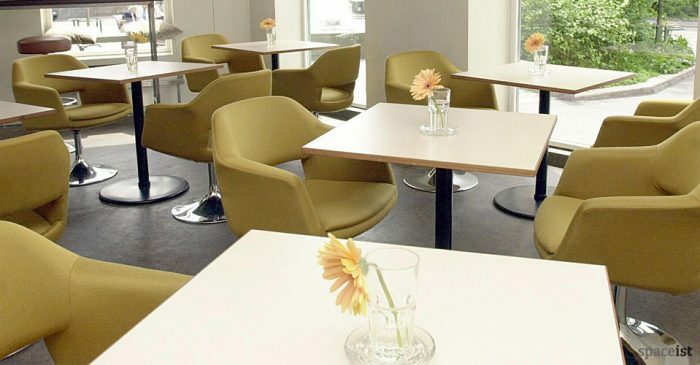 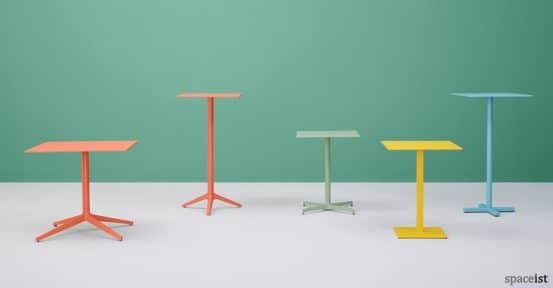 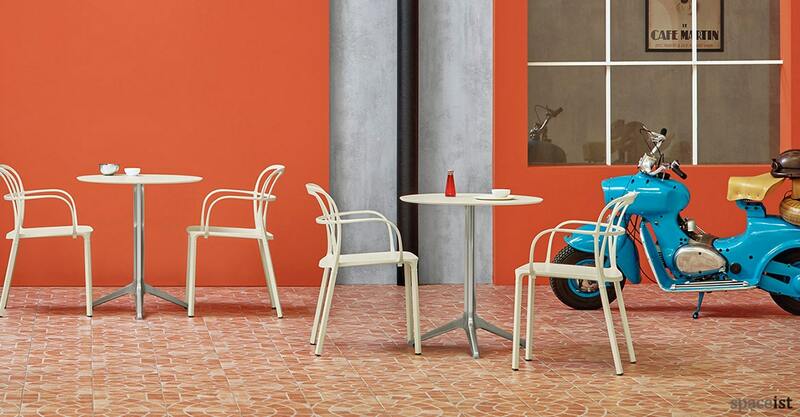 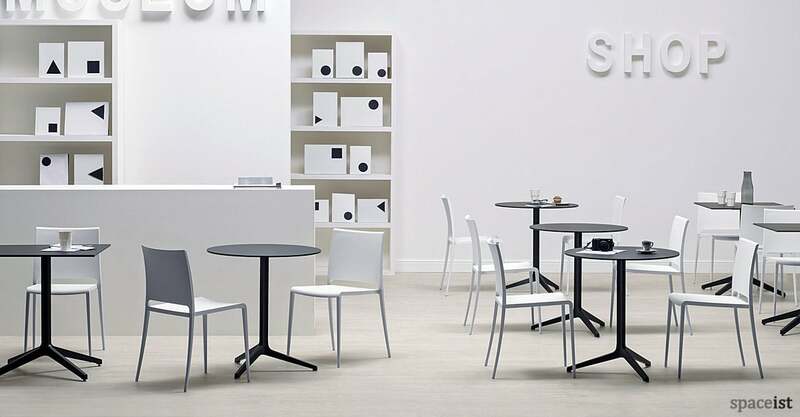 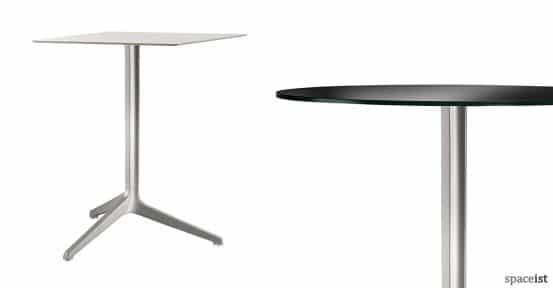 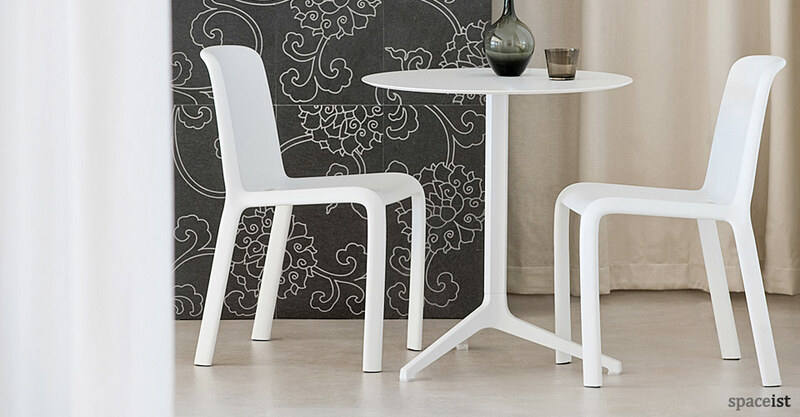 Categories: Cafe Furniture, Round cafe tables, Cafe furniture, College cafe tables, Outdoor cafe tables, Staff cafe tables, Cafe furniture, Cafe tables, Outdoor furniture. 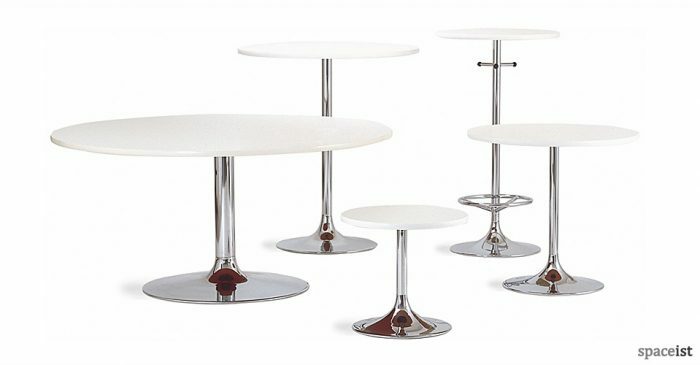 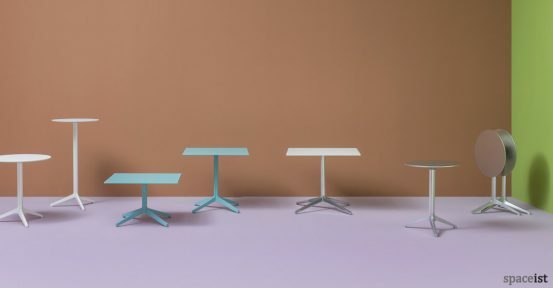 Ypsilon indoor and outdoor cafe tables are shown with stainless steel top and silver base. 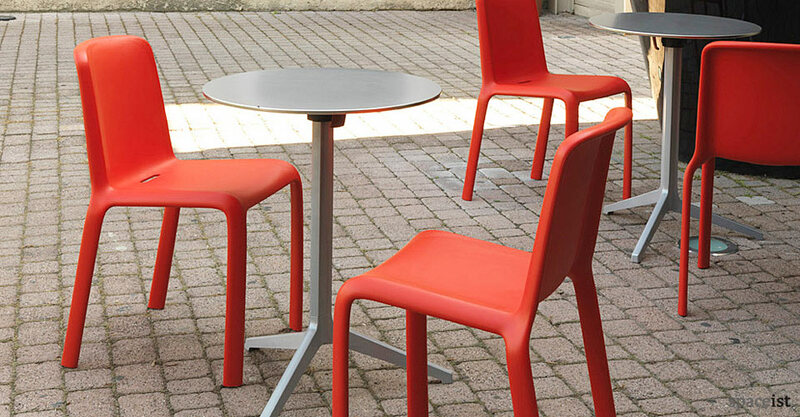 Also available with a folding top mechanism. Shown with Snow outdoor cafe chairs.